Autism Spectrum Conditions (ASC) affect people in different ways. In this video, Prof Elizabeth Milne talks to three people who were diagnosed with ASC in adulthood. 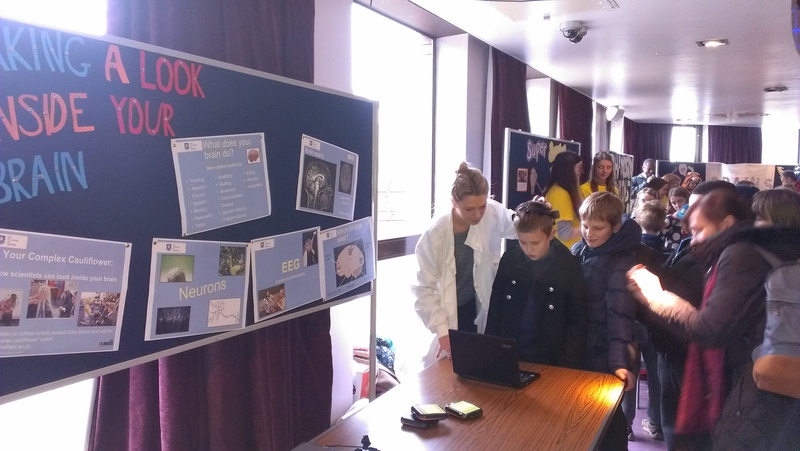 Widening Participation funds enabled Dr Megan Freeth from the Department of Psychology to fund a graduate intern to develop a series of tailored workshops entitled "Your complex cauliflower: How scientists can take a look inside your brain". These were delivered by PhD and undergraduate students to 187 pupils in Years 5,6,8,9 & 12 in 6 schools and colleges across the region. The project focused on the methods used to understand how the brain works and the images produced by different methods and the discoveries this leads to. Images created by fMRI equipment demonstrated what the brain looks like from different angles and images created via EEG explained the basics of how brain activity can be measured in an age appropriate manner. The project utilised the Emotive EEG headsets purchased in a previous WP bid and the purchase of a dedicated laptop to run the software for the headsets has enabled the sustainable use of the headsets for future WP events. A presentation and a series of demonstrations with a 128 channel EEG kit allowed members of the group to try the kit on and help to fit it on their friends heads. A live demonstration using the Emotive EEG headset with pupils was able to show how the brain can communicate directly with computers without the need for speech or movement. The live session was integrated with activities that enabled the young people to consolidate their learning. Teacher: "Really good and informative, it was nice to give the students a better idea of what actually happens in psychology at university and the breadth of the subject"
(Eckington School) Pupil (Year 12): "I really enjoyed the relaxed feel and being able to do something practical. The information wasn't too complex which was good because it wasn't daunting"
Cathedral Court, 1 Vicar Lane, Sheffield. S1 2LT.